Scientific tools and multiple modeling approaches can help nations comply with new US import rules, and reduce marine mammal bycatch. The U.S. National Oceanic and Atmospheric Administration (NOAA) has issued the Marine Mammal Protection Act Import Provisions, a new rule requiring nations that export fish and fish products to the U.S. to adhere to bycatch standards comparable to those of the U.S. Many of the affected nations may not have sufficient data or capacity to track, evaluate, and reduce marine mammal mortality. We have convened an expert working group to support these nations by developing scientific tools to evaluate data sets and methods for determining bycatch rates for marine mammal populations in terms of evaluating impacts on populations. demonstrating alternative measures that are equivalent in effectiveness to those governing bycatch in U.S. fisheries. Throughout the exemption period, NOAA will work with nations to the extent possible to support their efforts to meet the regulation’s standards. What data and tools can be used to estimate the population-level impacts of marine mammal bycatch? To comply with the new rule, nations must have applied for and received a “comparability finding” for each of its fisheries from NOAA to continue exporting fish and fish products to the U.S. To assist nations in their efforts to achieve the comparability finding, we are convening a group of marine mammal and fishery bycatch experts to develop a set of tools that will aid countries in assessing marine mammal stocks, estimating bycatch, calculating bycatch limits, and reducing total bycatch to comply with the US marine mammal bycatch standards. We will identify and recommend tools that could be used to assess marine mammal bycatch and its impacts, with an emphasis on data-poor fisheries and/or poorly monitored marine mammals. The scientific guidance that this working group produces will inform nations in their efforts to apply to NOAA for a “comparability finding.” The working group will also develop user-friendly software that nations can tailor to their needs and evaluate potential management strategies. Dr. Rob Williams is a Canadian marine conservation scientist and the co-founder of Oceans Initiative and Oceans Research and Conservation Association. Rob’s work addresses two broad themes: estimating wildlife abundance and conservation status; and assessing impacts of human activities on marine wildlife. As a Pew Fellow in Marine Conservation, Rob is trying to better understand how anthropogenic noise affects the vital life functions of marine mammals. He seeks to offer evidence-based advice on ecological effects of ocean noise, and establish quieter marine protected areas. 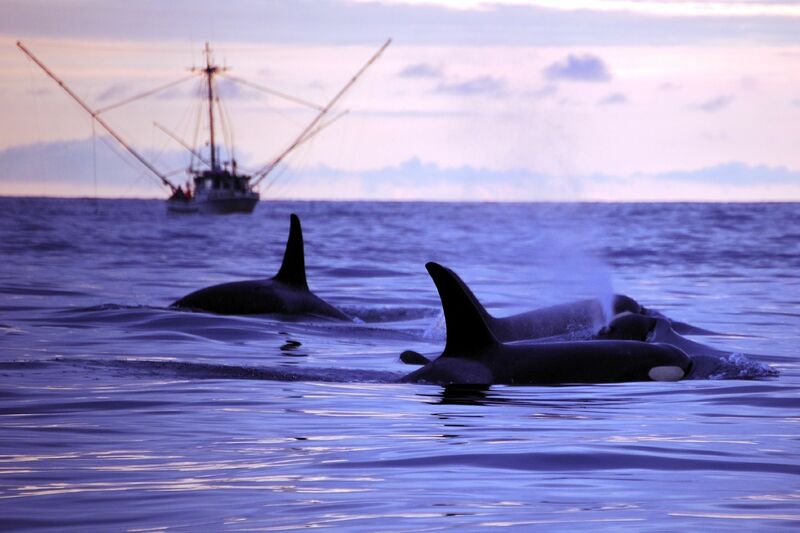 He specializes in low-cost methods to estimate abundance and assess conservation status of marine mammal populations. Rob has been a member of the International Whaling Commission’s Scientific Committee since 2001. He serves on the editorial boards of BioScience, Animal Conservation, and Remote Sensing in Ecology and Conservation. Rob was the Canada-US Fulbright Chair at the University of Washington (Seattle, 2009-10), was a Marie Curie Research Fellow (University of St Andrews, Scotland, 2010-2012), and is currently a Pew Fellow in Marine Conservation (2015-2018). Alex Zerbini is a wildlife biologist working with NOAA’s Marine Mammal Laboratory Cetacean Assessment and Ecology Program and with two non-profit organizations in Washington State: Cascadia Research Collective and the Foundation for Marine Ecology and Telemetry Research. Alex’s primary research interests are population ecology, assessment, conservation, and management of large whales. His research focuses on population biology and assessment of cetaceans and on the development of satellite telemetry methods for large whales. Alex is from São Paulo, Brazil, where he started his career. He has a B.S. degree in biological oceanography from the University of Rio Grande, a M.S. degree in zoology from the University of São Paulo, and a Ph.D. in aquatic and fishery sciences from the University of Washington. Alex has participated and/or coordinated cetacean research projects in the Atlantic, Antarctic, and and Pacific Oceans. In Brazil, he worked as a marine mammal researcher at the Oceanographic Museum of the University of Rio Grande and as an associate professor at the Center for Marine Sciences of the University of the Vale do Itajaí. Alex has been a member of the World Conservation Union (IUCN) Cetacean Specialist Group since 1998, of the World Wildlife Fund (WWF) Advisory Group on river dolphins since 2013 and of the Scientific Committee of the International Whaling Commission (IWC SC) since 2000. For the past several years he has chaired a number of the IWC SC sub-committees. Dr. Gísli Víkingsson is the Head of Cetacean Research at the Marine and Freshwater Research Institute in Reykjavík, Iceland. Gísli has been working as a whale specialist for the Marine Research Institute in Iceland for over three decades and is head of the Whale Research Unit. Beginning in 1987, Gísli began monitoring whale stocks in Icelandic waters, an important feat that has informed whale stock management throughout the North Atlantic. His research focuses on a range of topics involving whale ecology, movement, population dynamics and conservation. Gísli earned his Ph.D. from the University of Tromsö, Norway, here his research assessed decadal changes in distribution, abundance and feeding ecology of baleen whales in Icelandic and adjacent waters. He has authored over 60 peer-reviewed papers. Gudjon Mar Sigurdsson is a fisheries biologist currently working in the demersal division of the Marine and Freshwater Research Institute. His research focuses on bycatch and discard estimation, effect of area closures on fisheries, in addition to working on stock assessment of various species. In the past he has worked on fisheries spatial ecology and fishery population dynamics of American lobster in the Bay of Fundy and jellyfish ecology in the sub-Arctic. Jeff has been with NOAA’s Marine Mammal and Sea Turtle Division (MMTD) since 2010 and became leader of the California Current Marine Mammal Assessment Program (CMAP) in 2015. His primary expertise includes quantitative ecology, population dynamics and risk assessment. In his time with MMTD, he has developed and applied Bayesian methods for estimating marine mammal abundance, trends and other demographic parameters; quantifying population impacts of bycatch on sea turtles and marine mammals; conducting risk assessments for protected species; and developing quantitative decision tools to for policy and management. He has also worked on international small-scale fisheries bycatch issues. Jeff serves on advisory committees such as the IUCN Cetacean Specialist Group, the Biological Review Team for reviewing the status of northeastern Pacific white sharks, and the expert statistical panel for CIRVA (International Committee for Vaquita Recovery). He regularly contributes to protected species management processes such as updating the Guidelines for Marine Mammal Stock Assessments, Take Reduction Planning, and Pacific Fishery Management Council-related activities. He has authored ~40 peer-reviewed scientific journal articles since 2004 in addition to numerous NOAA agency and IWC technical reports. Maritza Sepúlveda is a professor at the University of Valparaiso, Chile and a Biologist at the Centro de Investigación y Gestión de Recursos Naturales (CIGREN). Her research investigates trophic ecology and population dynamics of marine mammal populations. 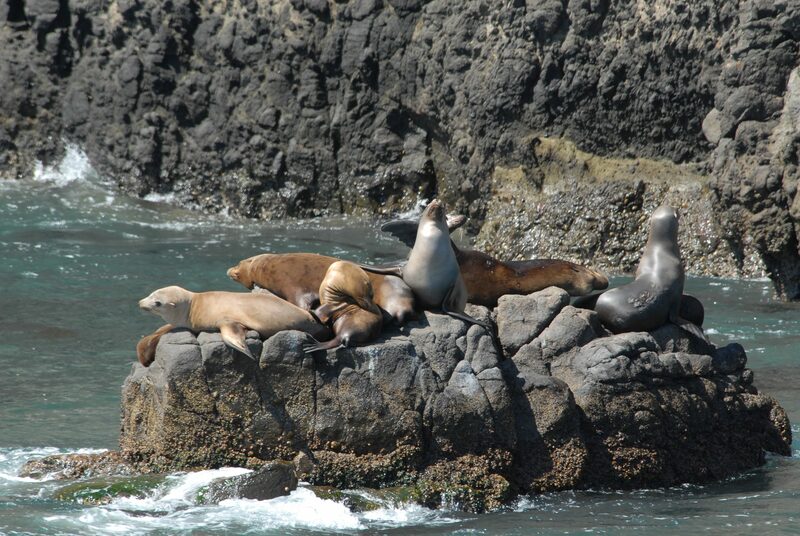 Currently, Maritza is researching sea lion trophic ecology along the Chilean coast. Maritza is especially interested in the interactions between this species and the industrial and artisanal fisheries. Maritza is also working on salmon aquaculture research to improve sustainable seafood options. She completed her Ph.D. at the University of Chile. Margaret is a postdoctoral research associate with the Ocean Modeling Forum (OMF) at the School of Aquatic and Fishery Sciences at the University of Washington. Margaret earned her PhD from SAFS in 2017 with Dr. Timothy Essington, studying forage fish ecology and population dynamics, and how these dynamics affect management tradeoffs. With OMF, she is developing analytical tools to mitigate marine mammal bycatch in international fisheries with different conservation concerns and data limitations. Margaret received a Master’s degree in the Department of Zoology at University of Hawai‘i Mānoa where she investigated community change over a chronosequence of invasive mangrove removal. Dr. Philip Hammond is a marine conservation ecologist focusing on marine mammal population dynamics and ecology. Philip studies the foraging behavior and diet of seals and cetaceans, uses statistical and mathematical models to assess marine mammal population parameters and studies interactions between marine mammals and man, specifically, the management of whaling, cetacean bycatch in fisheries, and seal-fishery interactions. Philip is a member of the Sea Mammal Research Unit, the Marine Alliance for Science and Technology in Scotland, the Scottish Oceans Institute, and the Center for Research into Ecological and Environmental Modelling. Visit his lab website to learn more! Dr. Randall Reeves is a specialist in marine mammal biology and conservation, with a focus on whales, dolphins and porpoises. Randy has conducted field work in many areas since the 1980s. He was involved in research on bowhead whales in Alaska, the Canadian Arctic and Greenland, and on right whales, bottlenose dolphins and other species in the western North Atlantic. He has also conducted extensive research on river dolphins in Asia and South America, on narwhals and belugas, and on the history of whaling worldwide. As chairman of the IUCN Species Survival Commission’s Cetacean Specialist Group since 1996, Randy has been responsible for preparing and evaluating assessments for the Red List of Threatened Species, drafting conservation action plans, and advising governments and non-governmental organizations on a wide array of science and conservation issues. Randy also currently co-chairs IUCN’s Western Gray Whale Advisory Panel and serves as chairman of the U.S. Marine Mammal Commission’s Committee of Scientific Advisors.